what is my food storage container and do I have weight restrictions? do I have refrigeration, and if so how big is the cooler or fridge? what is the duration of my trip? what type of cooking device will I be using to make food? By asking yourself what resources you have available, you will get a better understanding of the right type of foods to pack. Use the below chart to get a better understanding of the right foods to pack. What are the right foods to pack? 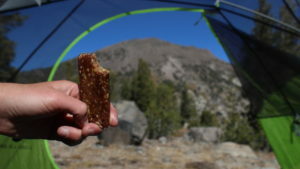 Nutrition: familiarize yourself basic wilderness nutrition. Eating nutritious meals will benefit your body, support recovery and fuel you up for the next day. Calories: calculate your caloric needs and your food’s caloric density. This will give you an understanding of how much food to pack. Simplify: the best outdoor meals are the ones that are the least complicated. Avoid recipes with excessive ingredients. Find ways to consolidate ingredients at home to expedite the cooking process and eliminate excess waste. The most important thing to remember is to pack foods that keep up with you. If you have a busy and active adventure agenda, you very likely will not have much time to commit to cooking. 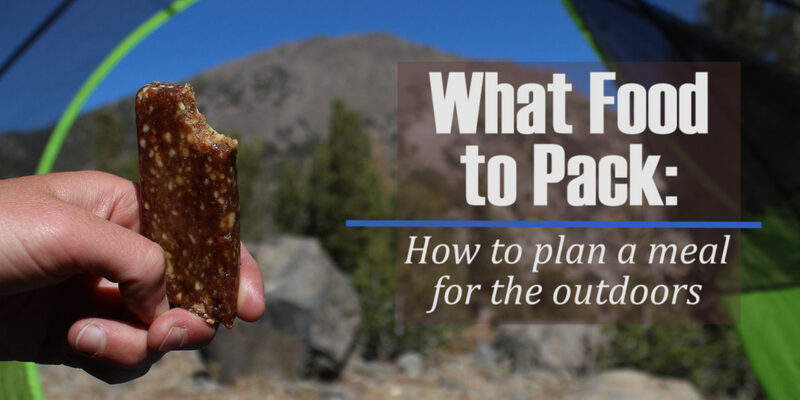 Plan ahead by packing quick snacks and energy bars in easy to reach pockets. Always have food and water readily accessible when you stop for breaks. The final step to meal planning for an adventure is practicing at home. Familiarize yourself with how long foods take to cook, how they taste and how easily they can be prepared. 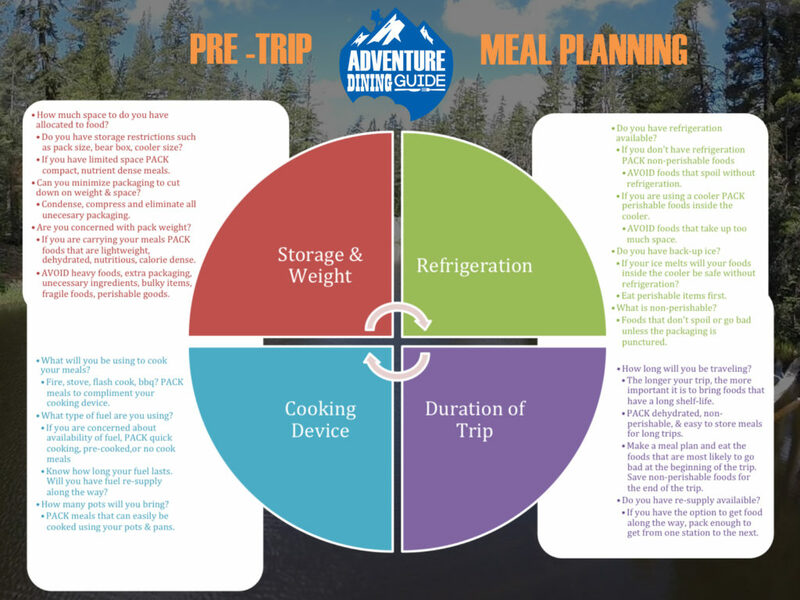 If you’re using a stove in the backcountry for the first time, practice at home before your trip. Master your backcountry cooking equipment for easy and successful trailside meal execution. 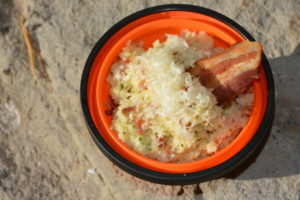 Many of the backcountry staple foods that we discussed above are ideal because they have a long shelf life. These foods are great to keep on hand at home for easy, healthy, convenient meals. If you have a pantry full of foods that you would eat outdoors, you will always have something available to eat at a moment’s notice. For example, try our Pulled Pork Sandwiches for an easy to make, last minute dinner. For more information on what to pack, check out this Adventure Sports Podcast featuring Adventure Dining Guide’s Michelle Shea!